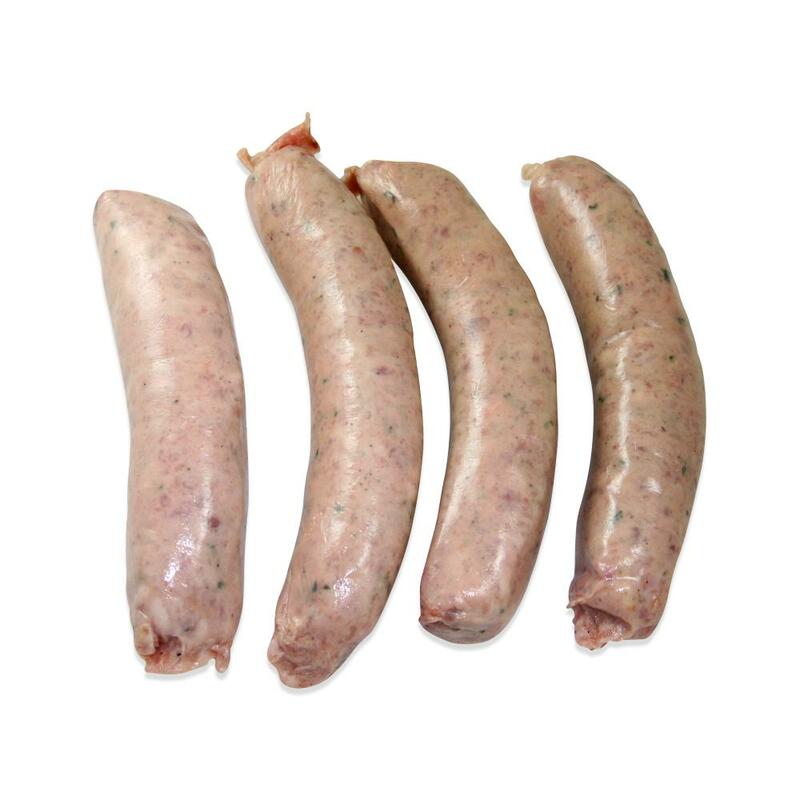 This game bird sausage blends the mild flavor of pheasant with mace, tarragon, and cognac for tasty treat that pairs well with most dishes. Ingredients: Pheasant, Pheasant Skin, Pork, Chicken, Bacon (cured with Water, Salt, and less than 2% of the following: Brown Sugar, Sodium Phosphate, Sodium Erythorbate, Sodium Nitrite), Potatoes, Water, Salt, Sugar, Cognac (Contains Sulfiting Agents), Port Wine (Contains Sulfiting Agents), Spices And Spice Extracts, Onion Powder, Garlic Powder, Flavoring, Dextrose. Stuffed In A Natural Pork Casing. Store pheasant sausages in your freezer until you're ready to use them, then thaw as many four-sausage packs as you need. 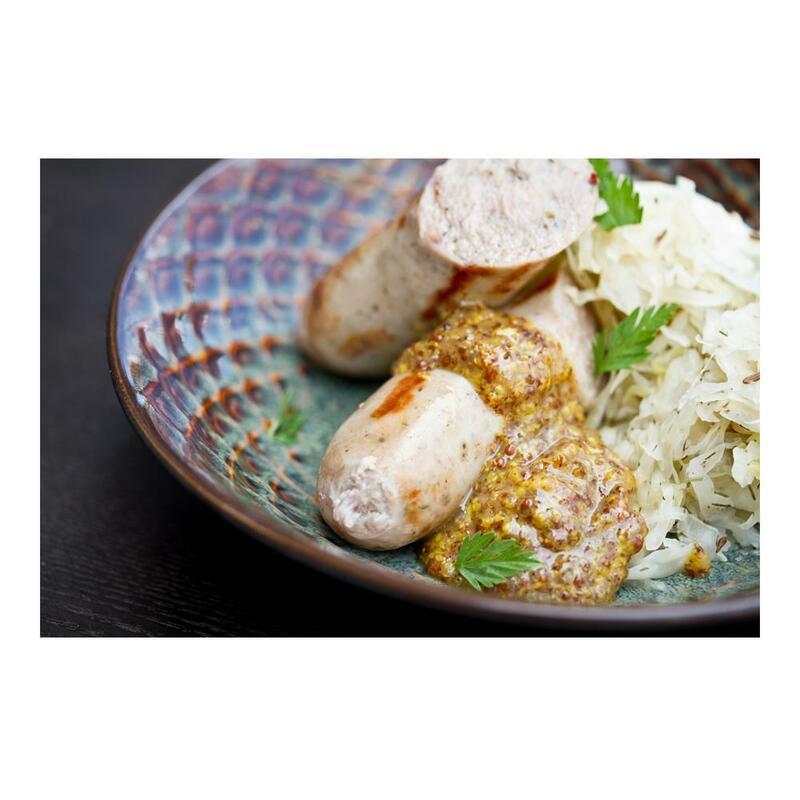 This pheasant sausage has a mild flavor that can be adapted to a wide variety of dishes. It can be grilled or broiled whole, or sliced and sautéed. Try it with pasta or served alongside a potatoes & veggies or wild mushrooms sautéed with white wine and garlic. The sausage meat can also be extracted from the casings for crumbling into sauces, or use as a stuffing for poultry, meat, and roulades.